Our program meets rigorous standards as an accredited Comprehensive Center under the Metabolic and Bariatric Surgery Accreditation and Quality Improvement Program (MBSAQIP). 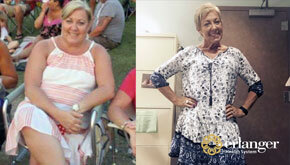 Find success with us on your weight-loss journey. 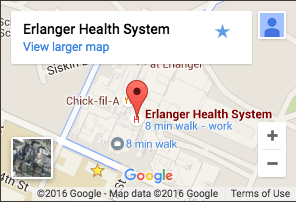 Why Choose The Erlanger Metabolic and Bariatric Center? Our nationally-accredited center offers comprehensive surgical and non-surgical options to help patients achieve positive, life-long weight loss. From the moment you enter our program, our focus is on education, support, and creating an individualized treatment plan to bring success in beating the disease of obesity. Watch our Medical Director, Dr. Chris Sanborn, talk about why patients should consider Erlanger. Expertise and support from a world-class team that includes leading bariatric surgeons, dietitian, life coach, nurses, and navigators. 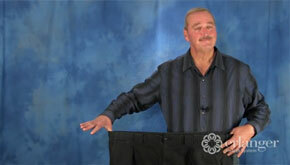 Your weight loss journey begins with our interactive, weight-loss education event. Attend in-person or online for your convenience. The region’s top healthcare professionals recently offered an in-depth look at what's new in helping people with the disease of obesity. In 2013 Robert weighed 425lbs and was taking nine medications. Gastric sleeve surgery performed by Dr. Chris Sanborn helped him lose 172 pounds—and regain vibrant health. 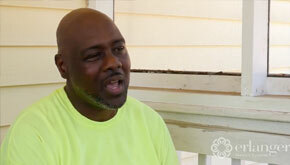 Antonio couldn't get on the list to receive the kidney he needed until he lost a significant amount of weight.